You must make reservations at least 5 minutes in advance of the time at King's Arm Tavern. Lunch: Thursday - Monday: 11:30am - 2:30pm. Dinner: Thursday - Monday: 5:00pm - 9:00pm. Tavern parking is located on Francis Street adjacent to the tavern. 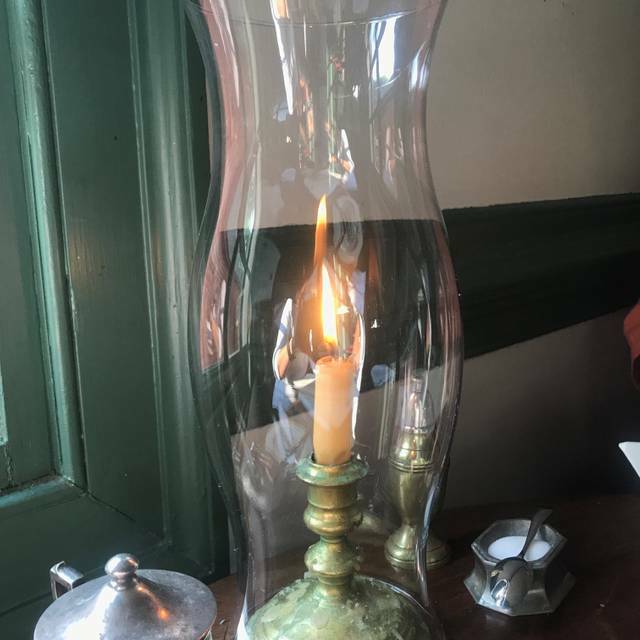 Originally opened by Jane Vobe in 1772, this authentic reproduction public house serves up a transporting experience for the senses in Colonial Williamsburg. 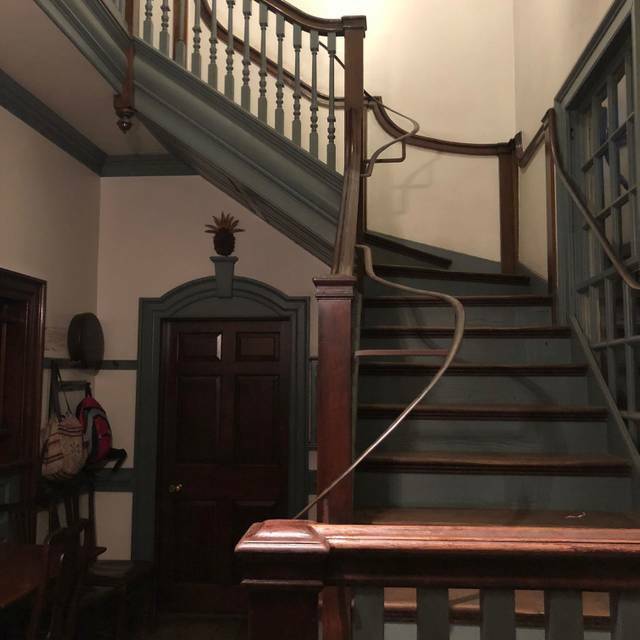 Everything is true to the time period at King’s Arms Tavern, from the fashion sported by servers to the pewter candlesticks—all adding to an air of colonial elegance. Inspired by 18th-century recipes, but with updates to suit 21st-century tastes, tuck in to a chophouse menu featuring prime rib, pork chops, and more. 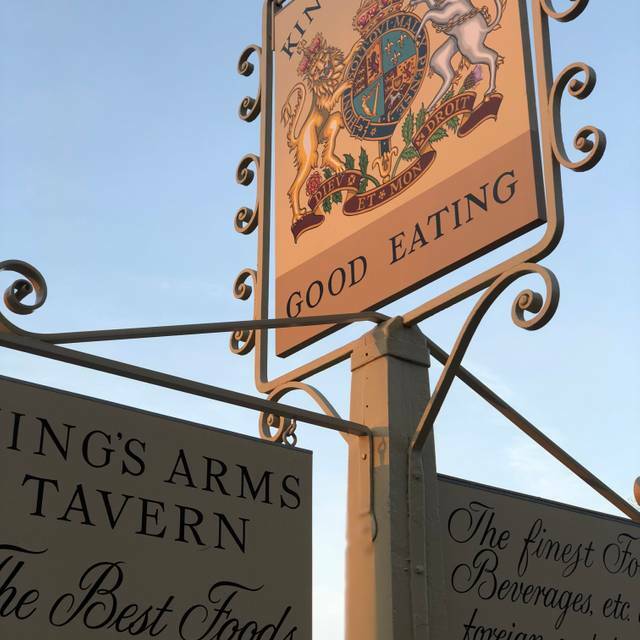 King’s Arms is my favorite Colonial Williamsburg tavern. I dropped its rating for one reason. My favorite dessert, which I have enjoyed for forty years, has been removed from the menu. It was the hard meringue with ice cream and strawberries. It is a unique dessert and I recommend it being restored to the menu. The food was great but the service was poor. Ambience is OK and I liked not having to put up with the noise of the musicians. I was extremely disappointed by the discontinuation of the signature entree of fried chicken and ham. At the end of the meal, no tooth picks are available. Colonial or not, what does CW expect me to use? The food was AMAZING! We took a week long vacation for our anniversary, and King’s Arm Tavern has the best food out of every dinner we had in D.C. The ambiance was very true to the atmosphere they were intending to create. They have separate rooms for many of the guests (not just one big open space), lowering the noise level considerably. The staff also put together a “Happy Anniversary” Card for us, which was an extra little special thing for us. 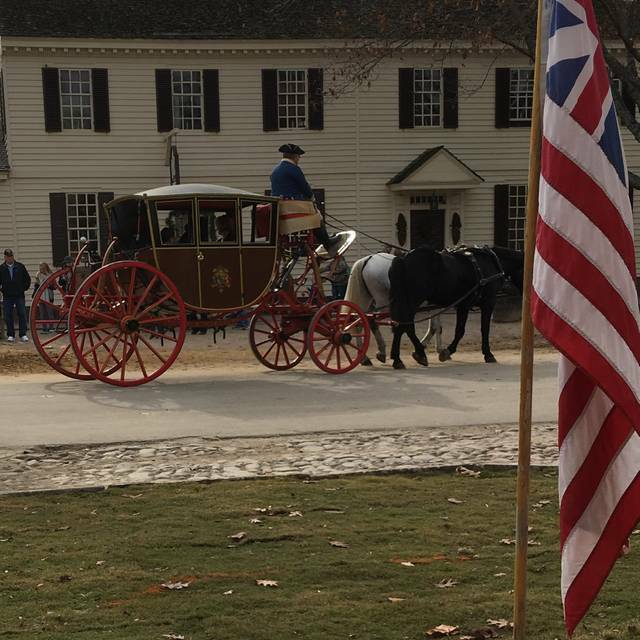 Continues to be a go to place in Colonial Williamsburg. The ambience was great and the service friendly. It was a little disappointing that they did not have the enterprise that we ha seem in previous visits. Love the peanut soup and the Sally Lund bread. I had the game pie which was excellent. All in all it was a wonderful experience. It’s an experience you do once and probably not again. Overall, it was good. The food was good - beef tenderloin was perfect, the game pie was very tasty, and my prime rib was good but it came out cold. Peanut soup is something you have to try but it’s really not that special. Dessert was a blueberry crumble which was ok and piece of cake which was also ok. Our server was kind, but everything took too long (drinks, food, bill). Our server was amazing. She was very good. The food was good and we enjoyed the whole experience. Eating by candle light. We really liked this restaurant, but your overall experience does depend on your server. We heard other servers telling their customers about what food would have been served during colonial times, the fact that sometimes they used bread to eat instead of utensils, traditions, etc.. It was as if they were getting an awesome colonial food history lesson and ours was just an order taker. So that was disappointing for us. 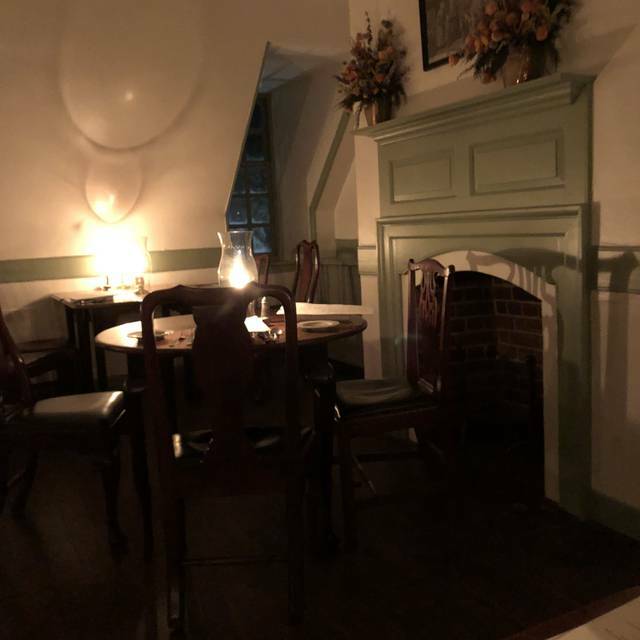 Made this reservation months in advance because people said a Colonial Williamsburg tavern dinner was a “must-do.” I recommend eating in the Williamsburg Market Square instead. 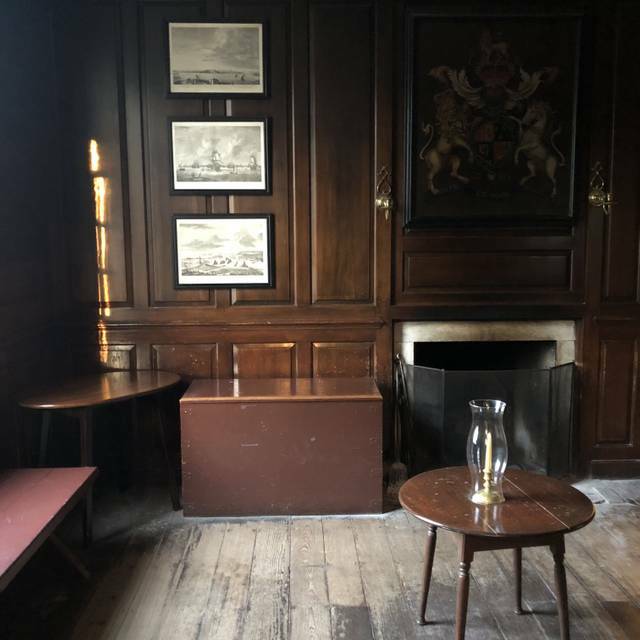 We were seated in a small upstairs room with no ambience. It was like eating in any other small dark restaurant except the food was mediocre. The staff was dressed in costume and the bread was served with some colonial type spreads but pretty much that was it. The other taverns might be a better choice. Wonderful ambiance, fine food and excellent service. Definitely a must-experience stop. Peanut soup was amazing as expected! Service was excellent! Great food and excellent service. Quite the experience! The food was phenomenal. They waitress knowledgeable. The ambiance fantastic. Honestly this dinner was the cherry on the top of a fantastic day in Williamsburg. It is completely worth the money- for both food and culture. Food was ok but it was very noisy -couldn't really visit with those at my table. Hands' down favorite for dining in a colonial tavern. Excellent food, service, and ambiance. 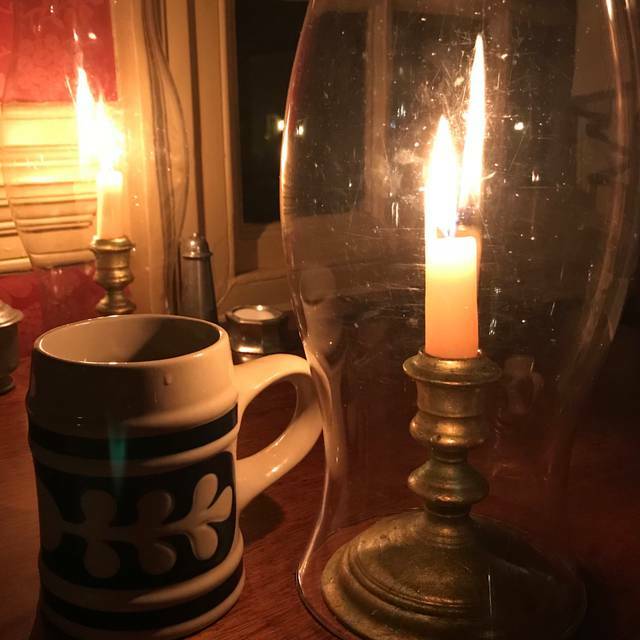 If you like dining by candle light, this is the place! My wife and I had a great meal, in a beautiful tavern. our waiter James was outstanding, very knowledgeable about the menu as well as the history. Expensive but good food. Waiter was knowledgeable and fun. It was the perfect balance of excellent food, time travel experience and superb service! The chef was especially attentive to my wife's allergies and visited our table multiple times to make sure everything was ok. This gave her the confidence to enjoy her meal without fear of an allergic reaction. Will definitely come back. We arrived just before our reservation time at 5:30. We were taken to our table and seated at a small table while there were other larger tables available. The waiter (James) came over and leaned on the table with his hands balled and looked at me and said: "What can I do for you" in a gruff manner. He then moved over to behind my wife, leaned over her, and asked what she wanted. It made her very uncomfortable. We both asked for Ice Water and I asked for a spiced ale. We had already decided what we wanted for dinner by using the online menu. However, the menu did not match the menu we had been given. We waited a good 10 minutes and I never received my Spiced Ale. My wife and I talked about it and decided to leave. On the way out we never saw the waiter. We had previously dined there and had a great experience in 2017. Comparing the two visits - it was night and day. We later were told by some local residents that the entire complex was now being operated by a management corporation . Overall the experience was vastly worse. What was supposed to be the final capstone of our long weekend proved to be rather the final nail in an overall bad experience. I ordered the Tavern Dinner of Prime Rib. Started with peanut soupe and then a good size piece of prime rib. It was a bit overdone, more medium well than the medium I asked for but tasted good. I wish they had sour cream for the horseradish but that may not be in keeping with the colonial era. The dinner came with dessert and I ordered the pecan pie. My husband ordered the game pie and enjoyed it along with his mixed berry crumble. We would go back again. We were very pleased: our server was friendly and knowledgeable, and the food was delicious! Always an enjoyable meal. Only thing, I miss the creamed spinach that was a standard for years. Can't wait to go back! 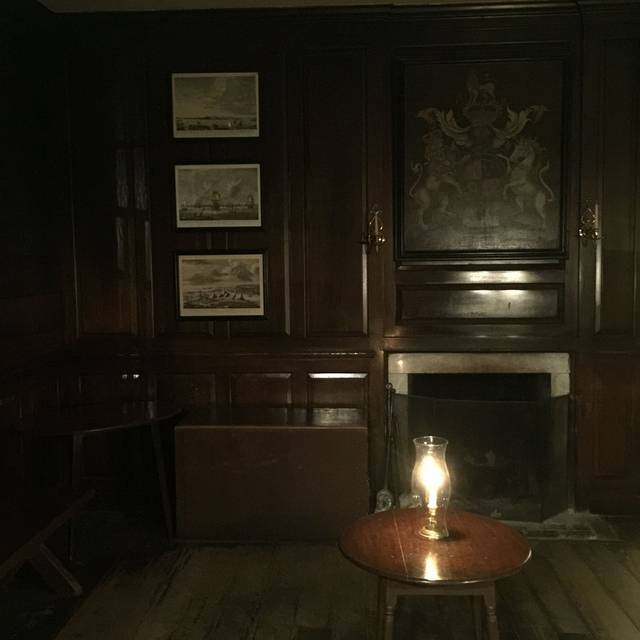 We only had a little time before our scheduled ghost tour, but our server really worked with us to have a great experience. Loved having dinner by candlelight as the sun set on Williamsburg. Everything was delicious from starter to dessert; we'll definitely be returning on our next trip to the historic triangle. It’s really loud in there, especially when larger parties are there in the same room as your group. Don’t expect a quiet romantic meal. It’s not going to happen. We had to send one meal back to the kitchen because the prime rib was horribly over cooked. It was requested to be medium rare and was delivered from the kitchen as well done. Just says there’s not always QC happening before food is served. Overall, the rest of the meal was a very good experience, just not outstanding. 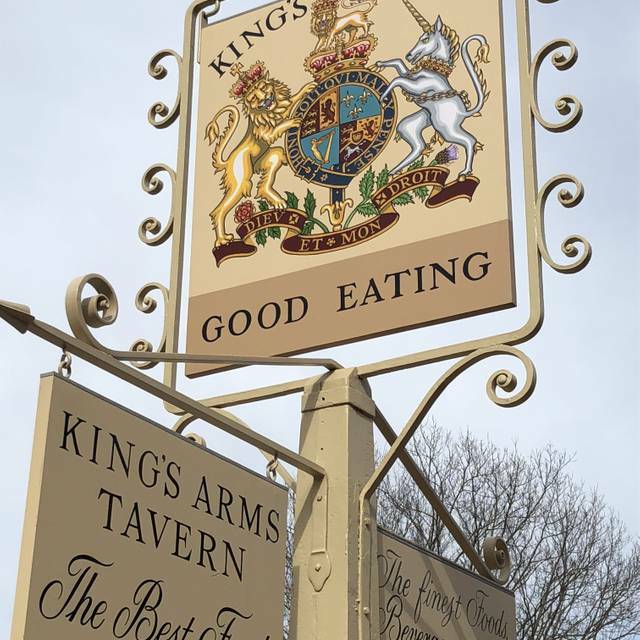 I have been dining at the Kings Arms for over 40 years. One of their signature items has been the peanut soup. Unfortunately, they have changed the recipe and not for the better. This past visit was the first time I have not finished the soup-and I will not be ordering it again unless the recipe returns to the former version. Additionally, I overheard the couple next to me criticizing the soup for "lack of peanut flavor." Disappointing that the tavern would change such an iconic part of their menu. While the above may seem trivial to some, when a specific menu item that you look forward to and have enjoyed for many years no longer is appealing, it lessens the dining experience. Such a neat experience! Highly recommend! We had very pleasant meal. Our server was awesome, wish I could remember her name. Food was delicious! WE love this place, but this visit was disappointing. The peanut soup was barely warm and the musicians never appeared. We'd hoped that a Friday night 730 seating would be primetime for period musicians and convival entertainment. We still had fun, but its been better in the past. I can't say enough good things about this place it was amazing! Wonderful place to take a step back in time. The food was fabulous and the entire experience worth the price. Food was great had the tavern dinner. The kings arm punch was a refreshing drink as well!! Wonderful experience. Waitress Kathy was very informative explaining the history, food, and customs of the colonial period. For our vacation week, this was our best experience the entire trip. Excellent in every area. My husband said the steak was the best he had ever had. I had salmon and it was very good and moist as well. Very much enjoyed the waiter and the extra information he provided about Colonial dining. Violin artist was also enjoyable.